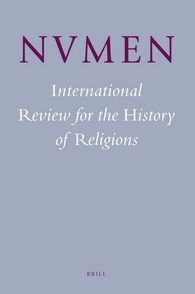 The current issue of the journal Numen (65) devotes several of its articles to religion and terrorism, especially focusing on how foreign policy still tends to downplay the religious dimensions of such forms of violence. 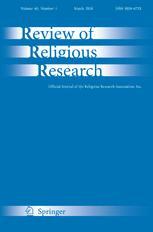 Guest editors James Lewis and Lorne L. Dawson note how the “significance of a linkage between religion and political violence has been a thorn in the side of the dominant secularization paradigm in the social sciences for some time….” In a separate essay on the “curious erasure of religion” among those addressing terrorism, Dawson elaborates on how this secular bias has been seen more often in many of the academic and think-tank studies on terrorism written by psychologists, political scientists, international relations scholars and others over the last decade or more. The very religious first-hand accounts of terrorists themselves are still too often discounted by such experts or perceived as personal forms of radicalism or “fanaticism” that are isolated from these perpetrators’ actual beliefs. Another article by Mark Juergensmeyer looks at the prospects for religious terrorism in a “post-ISIS” Sunni Arab culture. He writes that it is difficult to write the obituary of the Islamic State (IS), for its military and geographic dimensions may be eclipsed at the same time that its apocalyptic thrust (including terrorist violence throughout the world) finds new outlets and support. The IS has also been a movement for Sunni Islamic empowerment against Shia movements and regimes, and this need for power and the temptation toward extremism may continue unless there is some degree of conciliation between the two branches of the religion. Juergensmeyer concludes that “external conditions” such as rehabilitating IS fighters and giving Sunnis greater access to political life in Iraq and Syria, need to be addressed as much as internal ones. For more information on this issue, visit: https://brill.com/view/journals/nu/nu-overview.xml. RW’s editor, along with researchers K.T. Chun and Lina Villegas, recently published a denominational report in the Review of Religious Research (online in March) on ethnic church planting. Both evangelical and, more recently, mainline denominations have invested in planting churches targeted to ethnic groups, but there have been few studies on how these new churches relate to their denominations. Based on an ethnographic study of 15 congregations started within the past 10 years, we found most in our sample did show loose denominational ties. The report looks at how a combination of denominational cultural and structural factors and ethnic dynamics may play a role in such “denominational drift.” The brief report can be downloaded at: http://rdcu.be/I5k3. Readers interested in getting the complete study can e-mail RW’s editor. 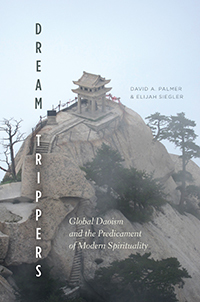 Dream Trippers (University of Chicago Press, $27.50), by David A. Palmer and Elijah Siegler, tells the complex story of how Daoism was reshaped in the West as a form of spirituality and then exported back to China—and then sometimes back again to the West. The term “dream trippers” refers to tours of Daoist holy sites in China by Western pilgrims organized by Healing Tao, one of America’s main providers of Daoist practices such as meditation and healing. Among the most popular of these is the “Daoist qigong” tour, but these programs, started in the early 2000s, are now offered by most American Daoist organizations. Through a decade of ethnographic research, Palmer and Siegler trace the “transnational circulation” of this popular form of Daoism, raising questions about the authenticity and ethics of “appropriating” foreign religions for Western consumption and entrepreneurialism. The book is especially interesting in portraying the miscomprehension and wary encounters between “native” Chinese Daoist practitioners and Western converts.These converts distinguish institutional religion (especially the Christianity of their upbringing) and its moralism and dualism from the perceived subjective and holistic nature of Daoism. The Daoism practiced in China developed in the crucible of Chinese national identity and Confucianism, and stresses a collective more than an individualistic identity. The notions of priesthood and ordination in Western Daoism come from Catholic sources in the U.S. rather than China. The authors take a critical stance toward both the Western Daoist pilgrims and the Chinese Daoist “traditionalists.” Their case study of both groups’ confrontation with each other at a Chinese Daoist monastery reveals, under modernity, the “fragility of a fully autonomous spiritual self on the one hand, and the crumbling away of the traditional authority of Chinese Daoism on the other.” Palmer and Siegler conclude by describing a wedding ceremony the dream trippers invent on their tour that is a hybrid (“third culture”) between Western individual spirituality and China’s Daoist traditionalism, while leaving it up to the reader to decide its authenticity.